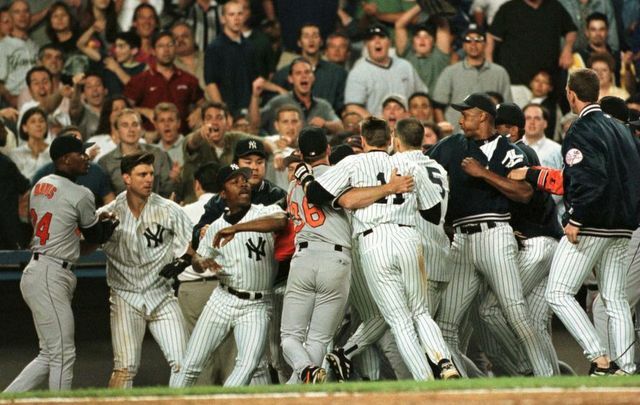 In 1998, the Yankees and Orioles were heading in opposite directions. The Yankees were emerging as baseball’s dominant team and were about to win the first of three straight World Series titles and four straight AL pennants. The Orioles, after winning 98 games in 1997, were in the first year of what would be 14 straight losing seasons. Long story short, age was beginning to catch up to the Orioles in 1998. Cal Ripken Jr. was done as an impact everyday player, Roberto Alomar had one of the worst seasons of his career, and other 30-somethings like B.J. Surhoff and Brady Anderson had slipped. The rotation behind Mike Mussina and Scott Erickson was a mess too. On the morning of May 19th, the Orioles were 20-23 and five games into what would eventually be a nine-game losing streak, their longest since starting the 1988 season 0-21. They’d lost 18 of their previous 28 games overall. There was already talk the O’s could be ripped apart at the trade deadline given all their impending free agents. The Yankees, meanwhile, were 28-9 on the morning of May 19th and had the league’s best record. David Wells had thrown a perfect game two days earlier. The Yankees were great and everyone knew it. The Orioles were mediocre, descending to bad, and everyone knew it too. When their paths crossed on May 19th, it got ugly. For the first seven and a half innings on May 19th, the Yankees and Orioles played a fairly nondescript game. David Cone wasn’t sharp, allowing five runs in six innings as the O’s nursed a 5-1 lead going into the bottom of the seventh. Harold Baines had driven in three of his team’s five runs with a pair of singles. The Yankees started their comeback in the seventh inning against rookie reliever Sidney Ponson, who was pitching in his eighth big league game. 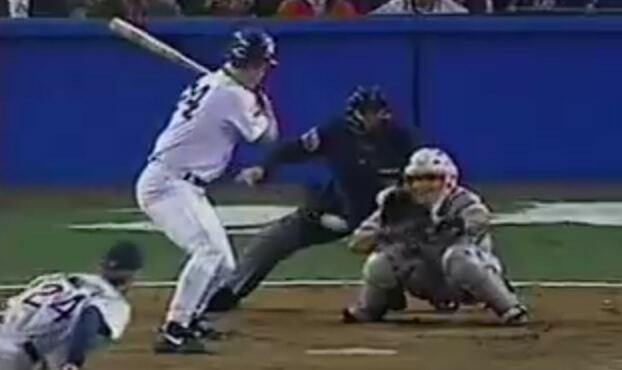 Doubles by Chuck Knoblauch and Paul O’Neill, and a single by Tim Raines cut the O’s lead to 5-3. Ponson went back out for the eighth and created a mess with back-to-back one-out walks to Jorge Posada and Knoblauch. Considering the O’s still fancied themselves a contender that early in the season and desperately wanted to right the ship, manager Ray Miller went with his top relievers in the eighth inning. Alan Mills came in to get Derek Jeter to fly out to right field for the second out. Norm Charlton came in for the left-on-left matchup against O’Neill, but O’Neill singled to score Posada to get the Yankees to within a run. One year earlier, the Orioles had one of the best closer-setup man combinations in baseball with Randy Myers and Armando Benitez. Myers saved 45 games with a 1.54 ERA while Benitez, then 24, struck out 106 batters in 73.1 innings with a 2.45 ERA. That was back when striking out 100 batters out of the bullpen really meant something. Nowadays it seems like every team has a guy like that. Anyway, the O’s allowed Myers to leave as a free agent during the 1997-98 offseason, and inserted Benitez as their closer. Going into that game on May 19th, he had a 3.57 ERA with 31 strikeouts in 17.2 innings, but also 17 walks. The transition to closer was not going smoothly for Benitez and he’s one of the reasons the Orioles struggled that season. Miller brought in Benitez for the four-out save after O’Neill’s single. The Yankees were down a run, but had runners on first and second with two outs, and Bernie Williams at the plate. Bernie hit Benitez’s fourth pitch into the right field seats for a go-ahead three-run home run. Benitez’s fifth pitch hit Tino Martinez square in the back, right betwen the 2 and 4 in 24, and chaos ensued.
? As intentional as it gets. After the game home plate umpire Drew Coble said he ejected Benitez “almost before the pitch got there … I felt he would throw at him. I didn’t feel he would throw up at his head like he did.” Benitez of course denied throwing at Tino. He said he was only trying to pitch inside. The way he instigated the brawl by throwing down his glove and pointing at the Yankees dugout said otherwise. To make matters worse, Benitez and Tino had a history. Three years earlier, when Martinez was still with the Mariners, Benitez hit him with a pitch immediately after giving up a grand slam to Edgar Martinez. I can’t find video of that beaning, but it did happen. Here’s the box score of the game. Edgar grand slam, Tino first pitch hit-by-pitch by Benitez. Bernie three-run homer, Tino first pitch hit-by-pitch by Benitez. Goodness. Once order was restored on the field, Raines took Bobby Munoz deep to drive in Tino for one last little bit of poetic justice. The Yankees went on to win the game 9-5 thanks to their six-run eighth inning. The Orioles had lost again, and after the game, no teammates defended Benitez. One unnamed Orioles player called him “25 going on 15,” according to Tom Verducci. “I’ve never seen anything like that in 25 years. That guy that pitcher should be suspended for the rest of the year. That was a classless act. He’s got no class,” George Steinbrenner said to Joe Strauss. Peter Angelos, Orioles owner and longtime Steinbrenner foe, even called George to apologize. Suspensions were handed down quickly. Benitez received an eight-game suspension, Strawberry and Lloyd each received three games, and Jeff Nelson and Mills each received two games. There were a bunch of fines as well. Everyone remembers the brawl. No one remembers it spilled over into the next game. The next day, Jimmy Key’s first pitch was up and in, forcing Knoblauch to duck out of the way. Later in the first inning, after Raines singled home a run, Key drilled Chad Curtis. Hideki Irabu responded by hitting Mike Bordick in the second and Brady Anderson in the fifth. Benches never did clear though. Because the suspensions were allowed to be served sequentially — they were served one after the other, not at the same time to avoid leaving each team shorthanded — Lloyd was eligible pitch in that game. 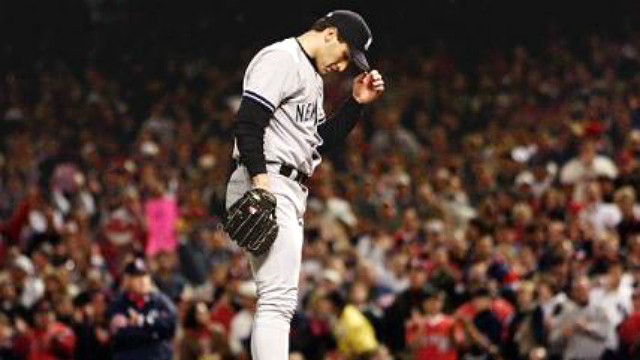 He received a big ovation when he was brought in to pitch, something that had never happened before given his somewhat rocky tenure with the Yankees. “I looked up to make sure I brought in the right pitcher,” said Joe Torre to Jack Curry after the game. After the brawl the O’s continued to collapse and the Yankees continued to win. It made for a fun “the brawl brought the Yankees together” narrative, but the fact of the matter is the Yankees were very good, and they kept winning because they were very good. If the brawl brought them closer together, neat. They didn’t need the help though. Tino Martinez was a great Yankee for six seasons and he helped the team win four World Series titles, plus a fifth AL pennant. He has a plaque in Monument Park! A core member of the dynasty Yankees, through and through. Martinez also had some ghastly postseason performances during his time in New York. Love the guy, but it is true. Tino was benched in favor of Cecil Fielder during the 1996 World Series games in Atlanta, and by time Game One of the 1998 World Series rolled around, he’d hit .188/.301/.292 in 29 postseason games for New York. Egads. Tino’s postseason luck changed in Game One of the World Series against the Padres. In what very well might be his signature moment as a Yankee — it’s either this or his game-tying two-run homer in Game Four of the 2001 World Series, right? — Martinez clubbed a seventh inning go-ahead grand slam off Mark Langston that turned a 5-5 game into a 9-5 Yankees lead. Ask Langston and the Padres, and Martinez never should’ve been in position to hit that grand slam in the first place. They think the previous pitch should’ve been called strike three to end the inning. And when you see the 2-2 pitch, it’s really hard to disagree with them. Looks about thigh high to me. Garcia disagreed through. He had it low, the at-bat continued, and Martinez socked the next pitch into the upper deck. “I was looking for a fastball and I thought it was low. I thought (Garcia) did a good job of calling the pitches consistently tonight,” said Tino to Curry. It is impossible to say how the non-strike call on Martinez changed the series. The Yankees were really freaking good that year and it’s easy to say they would’ve won the series anyway, but who knows? 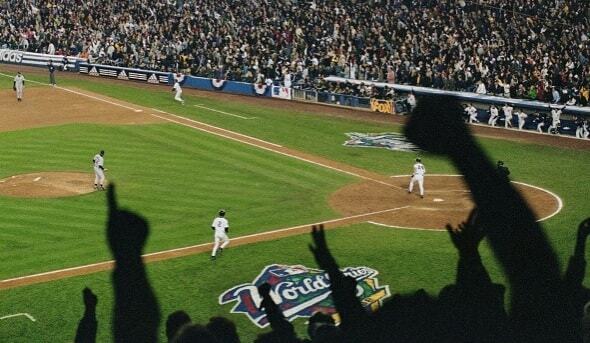 The Padres won 98 games in 1998. They were no pushover. Get the call on Martinez, win Game One to grab homefield advantage … who knows what could’ve happened? For Martinez, the non-strike call was the break he needed to get going at the plate in the postseason. He had a three-hit game in Game Two — Tino had three hits in his previous 31 postseason plate appearances combined — plus a single and two walks in Game Four. Following the non-strike call, Martinez hit .282/.348/.436 with seven home runs and 27 runs driven in in 48 postseason games through the remainder of the dynasty years. The Yankees are currently discussing a minor league coaching position with former first baseman Tino Martinez, reports George King. The Associated Press says it’s a done deal, though some comments Martinez made to King yesterday make it seem like nothing is final just yet. Martinez, 47, has been at Spring Training as a guest instructor. He spent 2008-09 in the team’s front office as a special assistant, and he spent half of 2013 as the Marlins hitting coach. Tino resigned that July amid allegations he verbally and physically abused players, which, uh, isn’t cool. I have no idea what kind of instructor Martinez is, so I couldn’t tell you if he would be a good hire or a bad hire. I’m sure the Yankees did their homework. That said, my guess is if this was someone other than Tino Martinez, the abuse allegations wouldn’t be overlooked so easily. It’s almost never easy dealing with the end of an iconic player’s career. Mariano Rivera made it very easy for the Yankees two years ago but the end of Derek Jeter’s career was a bit difficult last season. He was no longer productive at the plate and his defense was a major issue, yet he continued to play shortstop everyday and bat high in the order because he is Derek Jeter. Situations like that are pretty uncomfortable. Two decades ago, the Yankees were facing the end of another iconic player’s career, this one Don Mattingly’s. Like Jeter last season, Donnie Baseball was beloved by fans but no longer the player he was during his prime. Mattingly was one of the best players in baseball during the 1980s, being named the 1985 AL MVP and finishing the decade with a .323 average and a 144 OPS+ in 1,015 games. Thanks to an outstanding finish — the Yankees won five straight games and 11 of 12 to close out the regular season — the Yankees claimed the first wildcard spot in the AL history, finishing two games ahead of the Angels. All of the Mattingly nonsense was pushed to the back burner. He was in the postseason for the first time in his career and he delivered, going 10-for-24 (.417) with four doubles and a homer in the five games against the Mariners. Despite Mattingly’s offensive dominance, the Yankees lost the series in heartbreaking walk-off fashion in the decisive Game Five. Suddenly the issue of the star first baseman’s future was once again front and center. In early November, Curry reported Steinbrenner called Mattingly’s agent Jim Krivacs and told him retaining his client was very important to him. It was the first time Steinbrenner or the Yankees in general showed any interest in bringing Mattingly back for the 1996 season. And yet, while all of that was going on, the team was pursuing other first base options. Vaughn was named the 1995 AL MVP and Boston wasn’t interested in trading him, especially to a division rival. Fred McGriff and Mark Grace were both free agents that offseason, as were other first base candidates like B.J. Surhoff and Mickey Tettleton. The Yankees focused on Mariners first baseman Tino Martinez, who crushed New York during the regular season and was available because Seattle was slicing payroll. Tino had just turned 28 and was coming off a season in which he hit .293 with 31 homers and a 135 OPS+. Trade talks started in November and carried into December, and the deal went through many iterations. At first it was Martinez for left-hander Sterling Hitchcock and third base prospect Russ Davis. At another point it was Martinez, righty Jeff Nelson, and a prospect for Hitchcock, Davis, and minor league catcher Jorge Posada. GM Bob Watson, who replaced Gene Michael in October after Michael stepped down, tried to get Davis out of that deal. “I didn’t like the idea that was proposed,” Mariners GM Woody Woodward told the Associated Press. McGriff signed with the Braves on December 2nd and Tettleton signed with the Rangers a few days later. The Yankees badly wanted Martinez and their first base options were dwindling, but before they could part with Davis — Baseball America ranked Davis as the 78th best prospect in baseball prior to the 1995 season — they needed to re-sign Wade Boggs to play third. Boggs agreed to a new two-year contract on December 5th, and, two days later, the Yankees and Mariners were in agreement on the Martinez trade. It was Martinez, Nelson, and righty Jim Mecir for Hitchcock and Davis. The trade was not done, however. Martinez was eligible for salary arbitration that offseason and was set to become a free agent after the 1997 season. The Yankees didn’t want to give up two highly touted young players in Hitchcock and Davis for a player who could leave town in two years. Seattle granted New York a 48-hour window to negotiate a contract extension with Martinez and the two sides eventually came to terms on a five-year, $20.25M contract. “It’s a great day. I mean, my head is spinning. It’s probably one of the greatest days of my life,” said Tino to Curry after signing. The Yankees had their new first baseman, but what about their old first baseman? Mattingly was going through his usual offseason workout routine and the only team he’d ever known had just traded for his replacement. They didn’t even bother to check in to see whether he’d made a decision about his future. Mattingly sat out the 1996 season and, on January 23rd, 1997, Mattingly stood alongside Steinbrenner at Yankee Stadium and announced his retirement from baseball. ”I wasn’t willing to pay the price it was going to take to be able to succeed. At that point, I knew it was time to step away,” said Mattingly to Curry while explaining that his back, wrist, elbow, and knees were giving him too much trouble during his workouts to continue playing. Four months shy of his 36th birthday, his body had had enough. Steinbrenner announced at the retirement press conference that Mattingly’s No. 23 would be retired. Mattingly revealed the Orioles made him a contract offer to play in 1996, and while it did get his attention and make him wonder which other clubs could be interested, he ultimately decided to hang up his spikes. After 14 years in pinstripes, several months of trading barbs through the media, Mattingly’s career was officially over. The Yankees fired hitting coach Kevin Long and first base coach Mick Kelleher late last week. Brian Cashman confirmed the rest of the staff will be retained — “If we choose to make any other changes we’ll let you know, otherwise everything is status quo until then,” he said — though there has been speculation bullpen coach Gary Tuck, third base coach Robbie Thomson, and bench coach Tony Pena could be moved into different roles. We’ll see. Here are a bunch of coaching and front office staff updates courtesy of Bob Klapisch, Erik Boland, Sweeny Murti, Chad Jennings, Susan Slusser, Bob Nightengale, Donnie Collins, Andrew Marchand, and George King. Interesting comment from Cashman after the firings were announced (emphasis mine): “There are some individuals, I think, as we move forward (who) will bring more for the global perspective of the coaching staff … There are some more things that I want to add to the staff with Joe Girardi. And in my dialogue with Joe, we look forward to interviewing some personnel that can bring those things to the table.” Hmmm. Dodgers manager Don Mattingly told reporters he is “assuming” he will return to the team next year after they were eliminated from the postseason last week, though nothing has been decided yet. If Mattingly does get canned, I have to think the Yankees will consider bringing him back as hitting coach, the role he held from 2004-06 before taking over as Joe Torre’s bench coach. Tino Martinez is not a hitting coach candidate and Paul O’Neill gave a simple “no” when asked if he was interested in the job. Tino was the Marlins hitting coach in 2013 but resigned that July after word got out that he verbally abused players in the clubhouse and literally choked one player. So yeah, forget that. Former Yankees DH and current Athletics hitting coach Chili Davis is “getting mentioned” as a hitting coach candidate. Davis has been Oakland’s hitting coach since the 2012 season and before that was a minor league coach with the Red Sox and Dodgers. There’s also speculation Dante Bichette could be a candidate for the job. He was the Rockies hitting coach in 2013 and is close with Girardi. There’s also speculation current Diamondbacks pitching coach Mike Harkey could return as bullpen coach — Harkey was the Yankees bullpen coach from 2008-13 — with Tuck taking over as bench coach and Pena taking over as first base coach. (Tuck was Girardi’s bench coach with the Marlins in 2006.) The D’Backs just hired new GM Dave Stewart and fired manager Kirk Gibson, so other coaching staff changes are expected. Triple-A Scranton hitting coach Butch Wynegar was let go after the season and third base coach Luis Sojo won’t return to the team next year. That doesn’t mean Sojo’s leaving the organization, it just means won’t be with the RailRiders in 2015. Double-A Trenton hitting coach Marcus Thames is well-regarded within the organization but is not a candidate for the MLB hitting coach job right now. The Dodgers are reportedly mulling over the future of GM Ned Colletti, and Yankees assistant GM Billy Eppler is already getting consideration as a possible replacement. Eppler interviewed for the Padres GM job earlier this year. Special assistant Trey Hillman may leave the Yankees to become new Astros manager A.J. Hinch’s bench coach. Hillman is considered a candidate to replace retiring VP of Baseball Ops Mark Newman as head of the farm system. He’s also a candidate to join the MLB coaching staff in some capacity. And finally, I can’t help but wonder if the Yankees will adopt the two-hitting coach system many teams use nowadays. (Seventeen teams employ two hitting coaches right now.) They were reportedly considering hiring an assistant hitting coach two years ago but never did, and that “globe perspective” talk from Cashman makes me think Hideki Matsui will be considered for the staff. He’s always working with the team’s minor leaguers at the various parks. Anyway, that’s just me thinking out loud. If the Yankees were going to add an assistant hitting coach, now is the perfect time.